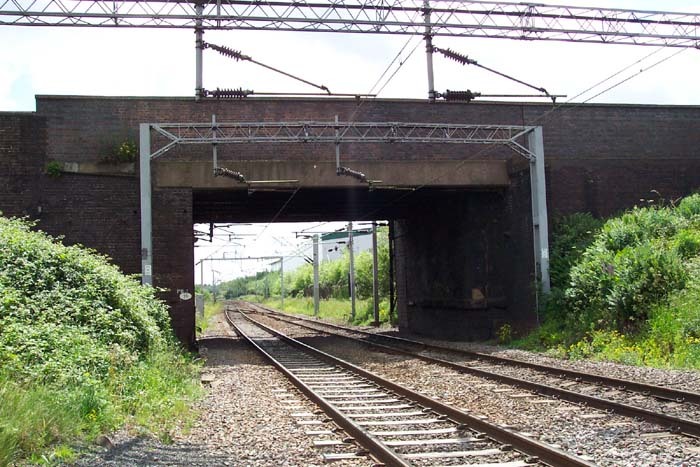 Originally James Bridge station, Darlaston opened in 1837 on the then-Grand Junction Railway some nine years before its merger with the London & Birmingham and Manchester & Birmingham railways to form the LNWR. 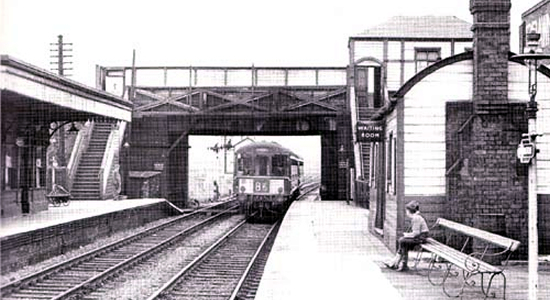 Above we see the station close to closure in 1963 (photo: P.J.Shoesmith) with the photographer standing on the Wolverhampton platform looking towards Walsall Road. Above-left we have walked down the driveway and are looking to the station site which is dead-ahead with the Walsall Road to our left. The area to our right that was once part of the railway site housing the Birmingham platform builing but now serves as a childrens' play area in a pub beer garden. 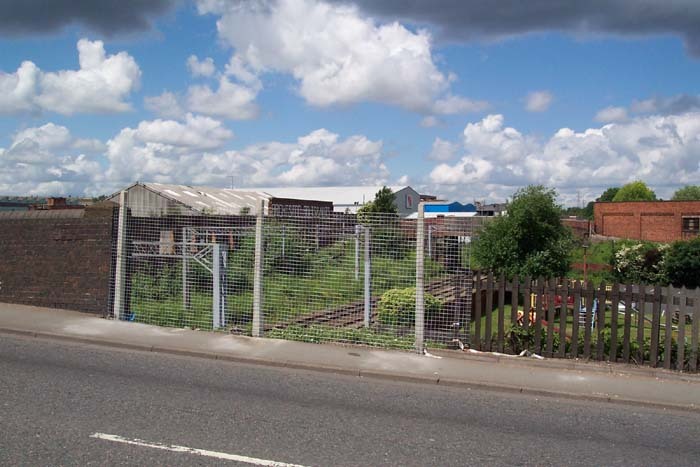 Above-right we see another approach to the station from Walsall Road overbridge itself: the mesh fencing marks the spot where once an entrance to the station stood that can be seen in the 1963 photograph at the top-left of the bridge. 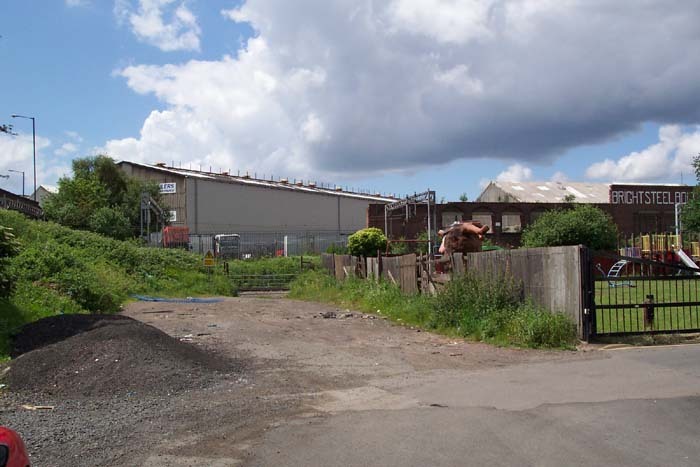 Above-left we are standing on the station site looking in the direction of Willenhall with Walsall Road bridge to our rear and Kendricks Road bridge ahead. 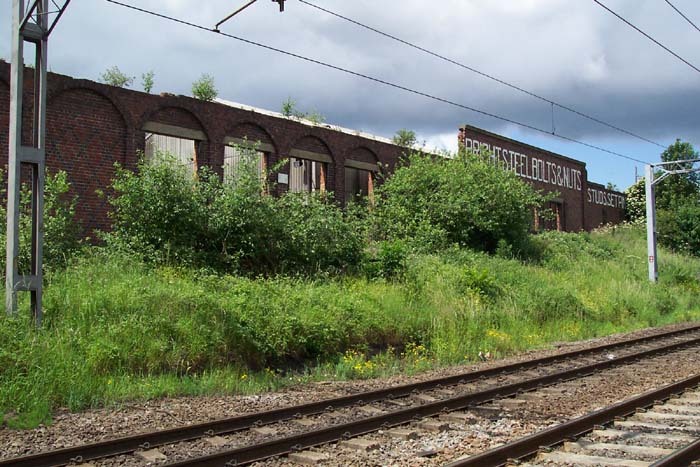 As can be seen, the station site was cleared extensively after closure and one would be hard-pressed to guess that a station ever stood on this spot. Above-right we are looking through the Walsall Road bridge towards Birmingham. 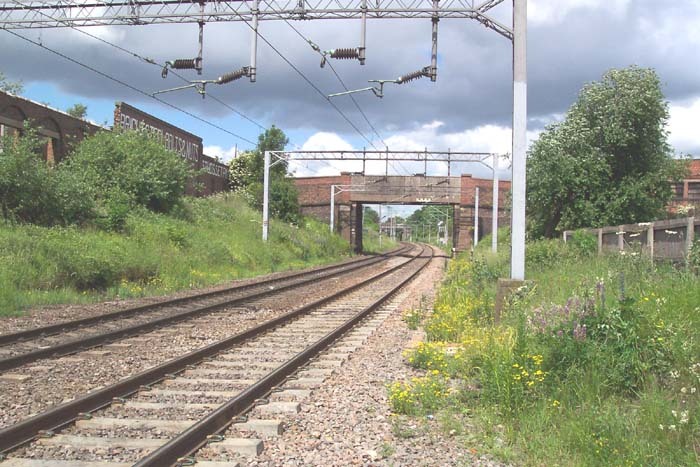 Above-left we are standing at the entry point to the station from the driveway and looking across at the Wolverhampton platform: evidence can be discerned here of the cutting-back of the platform mound when the station site was cleared. 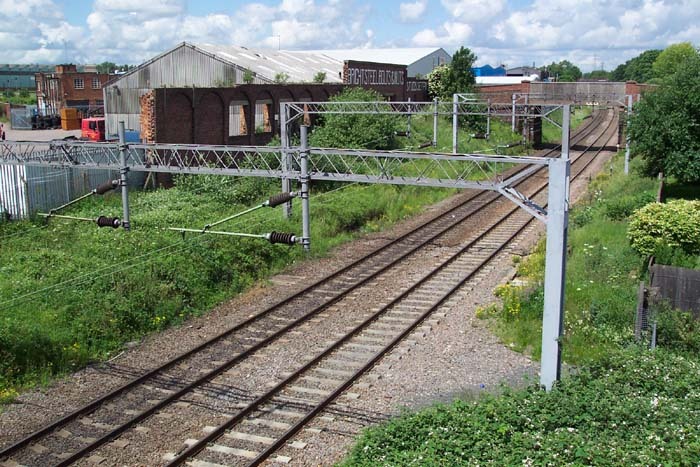 Above-right we are looking at the site of the Birmingham platform. 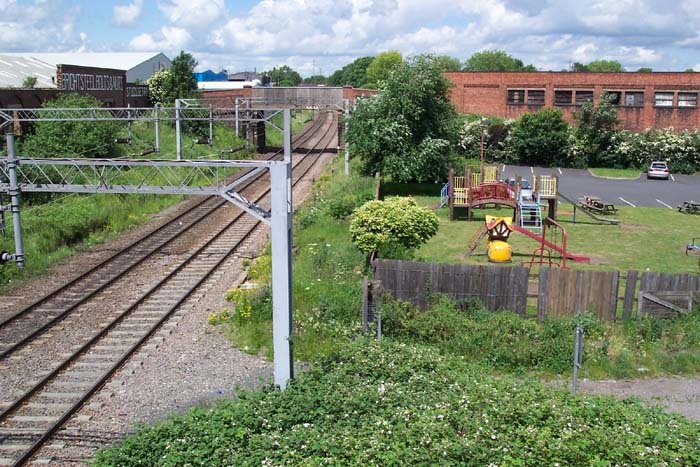 Above-left we have moved to a good vantage point on the Walsall Road and are looking down at the station site in the direction of Wolverhampton. 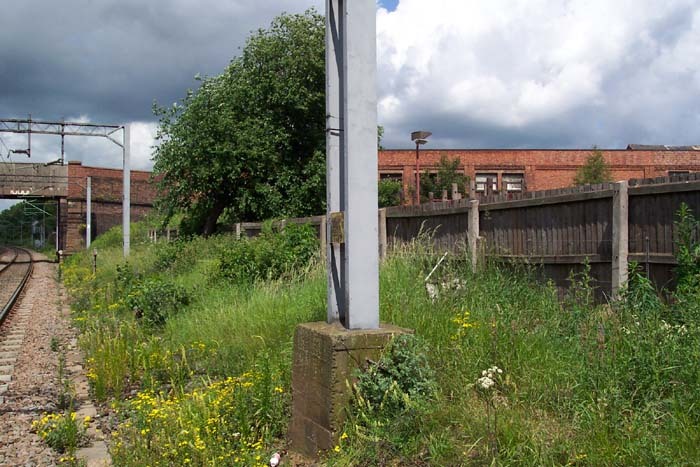 Whilst interesting for a quick look there is little to recommend this site as virtually all signs of the station having once stood here have been removed over the past 30 years.